Chief Joseph Ciciarelli is a native of Onondaga County. 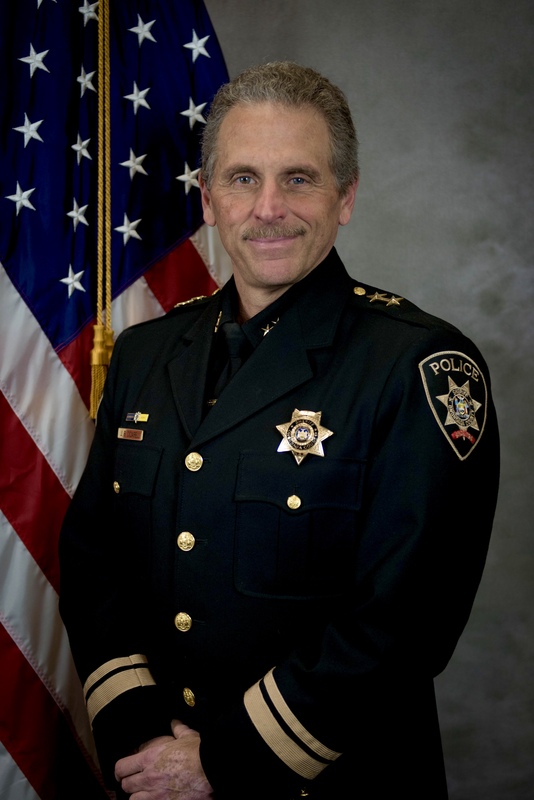 Chief Ciciarelli graduated from Liverpool High School in 1980 and continued his education acquiring degrees in Security Management and Criminal Justice Administration. The Chief began his Law Enforcement career as a Deputy United States Marshal in Washington D.C after attending the Federal Law Enforcement Training Academy and graduating from the United States Marshals Service Training Academy in Glynco Georgia in 1986. In 1988, Chief Ciciarelli transferred to the United States Marshals office in Syracuse, NY. During his 29 year Law Enforcement career, Chief Ciciarelli rose through the ranks from Deputy In Charge, to Supervisory Deputy to the Chief Deputy for the Northern District of New York. During his tenure Chief Ciciarelli, was responsible for managing the Law Enforcement, Facility Security and Administrative Operations for five district offices in addition to, participating and supervising numerous Federal Judicial and Witness protective operations throughout the United States. Chief Ciciarelli was directly responsible for initiating the first district fugitive apprehension task force in the Northern District in 1990 which ultimately was joined with the United States Marshals NY/NJ Regional Task Force in 2007, where Chief Ciciarelli directed the daily multi- agency law enforcement apprehension operations for thirteen counties, in addition to managing numerous national and international fugitive investigations. Chief Ciciarelli is responsible for the management and supervision of the Police Department, which consist of the Road Patrol, Criminal Investigations and Special Enforcement areas of the Onondaga County Sheriff’s Office. It is the Mission of the Onondaga County Sheriff’s Office Police Department to provide the citizens of Onondaga County a full service professional law enforcement agency to protect life and property, reduce the opportunity for crime and disorder, enforce all laws, assist victims and provide other police-related services as required by the community. The daily focus of the Police Department is to successfully execute our law enforcement operations with compassion and courage, holding ourselves and each other accountable for our actions at all times, with the goal to provide the highest level of Police service to safeguard the community.